Let us turn our attention to Crime Queens, those early 20th century ladies with murder on the mind. Agatha Christie is the most famous of these authors, but Dorothy Sayers, Ngaio Marsh, Josephine Tey, and Margery Allingham all have their proponents. I found almost all of these ladies through television adaptations of their characters. The exceptions being Marsh and Tey. My mother introduced me to both of them and it has been a congenial acquaintance. Once I had seen my first Miss Marple I was hooked. I started to buy her books with my allowance. I checked out Miss Marple stories from the library. I sought them out in used bookshops. I graduated to other Agatha Christie novels, but the Miss Marple stories remained my true detectival passion. I was a Christie purist until high school. I was about thirteen, languishing in my room during the summers away from school, reading everything that crossed my path when my mother handed me The Daughter of Time by Josephine Tey. I was interested in English history and Mom gave me this book. I didn’t even know that there was a whole series of Alan Grant books for at least a year. 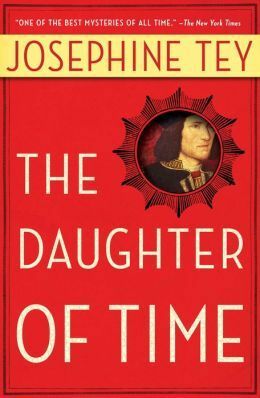 I just kept re-reading The Daughter of Time. (This was also the very first book we read in my book club.) I enjoy the series as a whole and have gone back and re-read all of the Alan Grant books. I’ve never much cared for her non-mystery fiction though. Perhaps I should give them another try? Tey is also the only one of these authors who has not had a film adaptation of any of her books as far as I know. I picked up the third of my Crime Queens in high school as well. Ngaio (pronounced nie-oh ) Marsh was from New Zealand, but her detective, Roderick Alleyn, is English through and through. Alleyn comes from a very posh background, which tends to give him a little more clout than your average Scotland Yard man in the homes of the wealthy. He heads up 32 novels in all. The other interesting thing about Alleyn is that he gets married, has children and the children grow up. So many of the detectives seem to be caught in amber. Miss Marple is as old and woolly in her first adventure as in her last. There is a t.v. 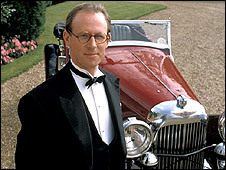 series called, conveniently, the Inspector Alleyn Mysteries. I didn’t find these until I was out of grad school and had read all of the books. The Ngaio Marsh books are the only ones I have a complete set of, interestingly enough. It has been said that the problem with Dorothy Sayers is that she was in love with her protagonist. However, since I’m also in love with Lord Peter, I don’t have a problem with that. Lord Peter Whimsy is an aristocrat, a fop, a collector of rare manuscripts, and a genius. I honestly don’t remember if I found the books or the BBC adaptations first. There are two Lord Peters available on the television. 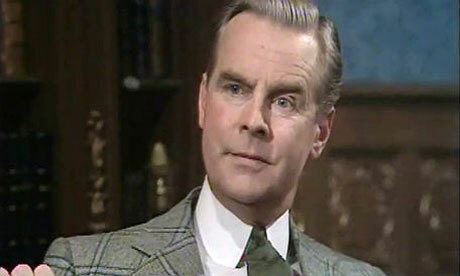 There are the Ian Carmichael episodes, which were filmed in the 1970’s. His Lord Peter is older, slightly more dissipated, but hell on wheels when he’s roused. 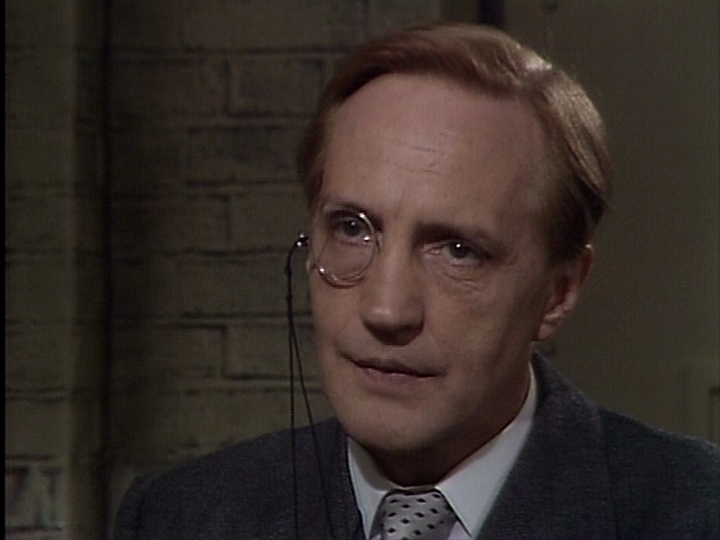 Then there are the Edward Petherbridge episodes, which were filmed in the 1980’s. Petherbridge is thinner and much more the stereotypical horsey British aristocrat. The Petherbridge series focuses on the stories that involve Harriet Vane, Lord Peter’s love interest. At this point in my life I probably go back to Dorothy Sayers more than any of the others. Possibly because I have read Christie so many times that I have them almost memorized. And Marsh, though I love her, is very formulaic. You can tell which of the young persons will end up together by chapter 5. Tey is marvelous, but there isn’t really very much of her, so again, I’ve read them all over and over. Plus, there’s just something about Lord Peter. I find myself most envious of Harriet and of Sayers herself for all the time they get to spend with him. Last, we come to Margery Allingham. She is the most recent addition to my Crime Queens. I found her through Netflix. I had re-watched all the Lord Peter that was available and the Netflix algorithm suggested the Campion series. Our Albert, as he refers to himself, is played by the Fifth Doctor Who, Peter Davison. He plays a fool, but a fool who is hired by governments and kings. He is also the disinherited son of an unnamed, but extremely prominent noble house. He has a butler who is an ex-convict and a number of very dubious acquaintances. This is one series that I thought for a long time made much better tv episodes than they did books. Some of the books are a bit uneven and some of them border on dull. But, I recently had occasion to listen to the first two books in the series, The Crime at Black Dudley and Mystery Mile. I found myself quite diverted. The one thing that was interesting is that Allingham does not actually have Campion as the protagonist. In The Crime at Black Dudley the protagonist is the slightly prim Dr George Abbershaw, a noted pathologist, but not a detective in his own right. Mystery Mile is more impartial. We follow several characters, including Campion himself, but we’re never tightly focused on him. The over-the-shoulder camera view is a much more modern literary trick than you might think. It’s a bit disconcerting to go back to older books and realize that you don’t get that very much. I’m slowly working my way through the Campion books, but I don’t yearn for the next one when I’ve finished. Much like all the early 20th century literature, there are attitudes and descriptions in all of these books that would range from out of touch to downright racist today. So far, I haven’t encountered anything that seems to come from a place of hatred, but there is language and just general description that wouldn’t fly today. For example, there is a Turkish character in Mystery Mile. He is repeatedly referred to as “the Oriental.” Every time I heard that I twitched a little, but it’s never said in a sneering way, just a very matter of fact way. So, be forewarned, these are very much products of their time and some of the content may make you uncomfortable.